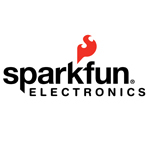 SparkFun is an online retail store that sells the bits and pieces to make electronics projects possible. Their products and resources are designed to make the world of electronics more accessible to the average person. In addition to products, SparkFun, through their Department of Education, offers classes and online tutorials designed to help educate individuals in the world of embedded electronics. Arduino Pro Mini 328 Microcontroller is a very small and light board based on ATMega328 microcontrol..